I was fortunate enough to score a cross country zone permit. 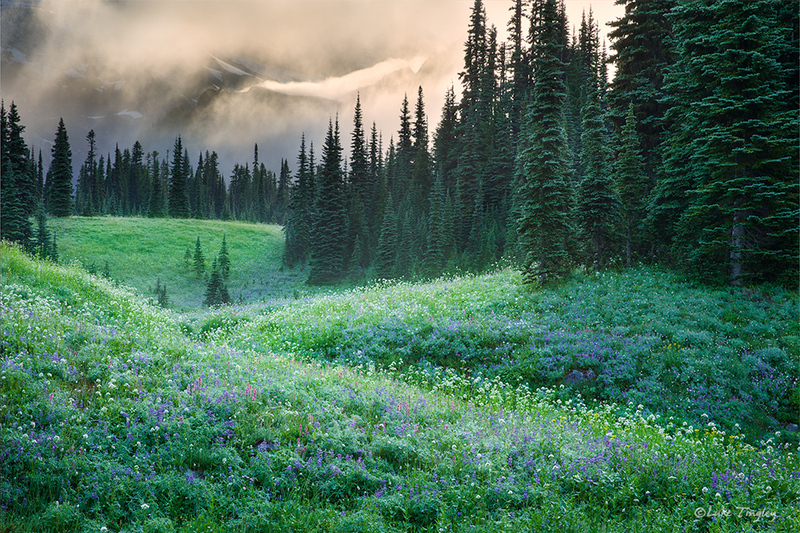 Morning light plays off the fog and the wildflower covered meadows after a wet night in the backcountry. Moments like this always answer the question in the back of your mind. "Why? Do I put myself through this torture when odds are I won't even get a shot." This is the answer that always makes it worth it. Photo © copyright by Luke Tingley.